Designed for levelling and packing objects with a high load mass. Ideally suited to pre-cast concrete panels in the industrial, commercial and civil construction industries. 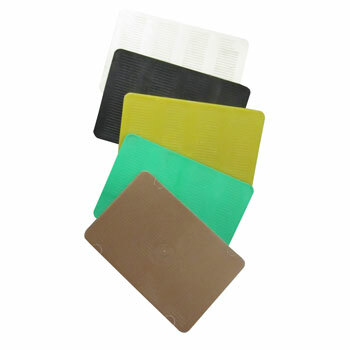 Each shim is colour coded for easy selection, contains ribs for non-slippage, is made with premium quality materials and are proven and tested out in the field. To buy IMPACT-A Packers - Full Panel Shims , please use the Store Locator below.